Taking a gap year abroad can be a big decision but one with endless possibilities for growth, experience, and cultural exploration. There are some important questions to consider when planning an international gap year program. A gap year can be taken at anytime but it is most commonly taken after high school and before college. It is also becoming increasingly popular for students to take what is a called a "glide year" after college and before beginning a career. Gap year programs can be done over a full year, a semester, or even just a month or two. You can spend your entire gap year abroad or part of your time overseas and part at home. What can I do during my Gap Year abroad? We offer a specialized Global Gap Year Program. This project is designed specifically for individuals taking a gap year after high school and before college. The program runs on roughly the same schedule as a school year (Sept-May). 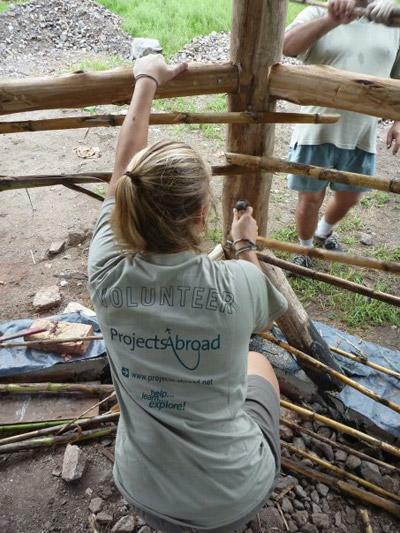 Volunteers on the gap year program travel to 5 different countries as a group and take part in many different projects like childcare work, building, English teaching, environmental conservation and more. We also have year round programs that allow gap year volunteers to create their own, customized gap year experience involving the specific countries, projects, and dates that they would like. We work in over 25 different countries and we offer hundreds of different programs. You can participate in all kinds of work and help improve the standard of living for adults, children and even animals in many different countries. The ideas are endless. There are hundreds of other reasons why you might take a gap year abroad. How will a Gap Year benefit me in the future? International Experience: We believe that cultural exchange is a two way street. As a gap year volunteer, you will provide beneficial aid and services to your chosen community but will also gain new, worldly insight by interacting with our staff, host families, other volunteers, and local people. This real-world experience will help you stand out from the crowd in college. Academic/Career Experience: You might choose to take part in an internship in Medicine, Law and Human Rights, Business, etc. during your gap year. In addition to the cross-cultural experience that you'll gain abroad, you'll also be developing valuable professional skills that you can use for a future degree or career. 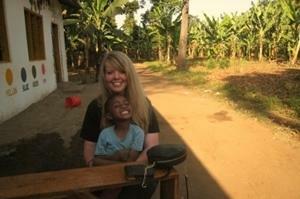 Language Experience: Gap year volunteers often use their time abroad as a way to improve their language skills. Aside from the language skills you'll pick up just speaking with local people, we also offer language courses in almost all of our destinations. Life-long Friends: We send 10,000 volunteers abroad from all over the world. Most gap year volunteers sign up as individuals and become part of an on-going volunteer community in country. While your peers back home are trying to find their place in college, you'll be exploring the world with a group of international, like-minded volunteers. How can I start my Gap Year abroad? There is a lot of planning that goes in to arranging a gap year abroad. Luckily, we're here to help. If you are thinking of joining our Global Gap Year, you can start by looking through the schedule, viewing a previous Global Gap webinar, and reading volunteer stories from former Global Gap volunteers. If you are planning on arranging a customized international gap year, you can start by looking through our destinations and projects. Feel free to contact our staff with your gap year ideas. Many of us have taken one ourselves, we are happy to help you get started!